I'm happy to review the I.Fairy Moonlite Yellow lenses sponsored to me by IFairycon. 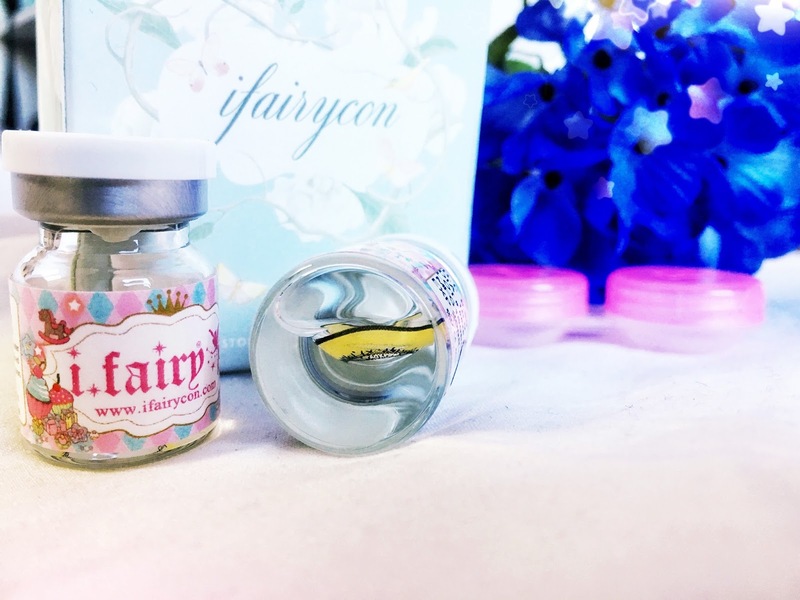 I.Fairycon is an online marketer of specializing in providing cosmetic contact lens such as beauty products. The my lenses were dispatched on September 7th, 2016 and it arrived in Germany about 12 days later on September 19th. The envelope was packed with the lenses and a pink container such as a personal letter. I think this company has a super cute design for everything! The customer service responded extremely fast and kind, they provided me with a tracking number as soon as they dispatched my lenses as well. I can only recommend their site to buy lenses since they are fast and not as expensive as other websites. The service was very nice as well! Please use my code "HOTARU10" for 10% off your purchase! This is what the virals look like. Super cute, right? These lenses are huge and super dolly! The lenses were easy to put in and very, very comfortable! I really enjoyed wearing these since my eyes weren't irritated by them or dried out. They were by far the most comfortable lenses due to their high water content and they are super cozy to wear for a longer time as well. I expected a lot of these lenses and I wasn't disappointed when I first tried them on: They look super vibrant and you can clearly see them even in indoor lightening, which is really important to me. They are 15mm and look super dolly! I loved the enlargement, the difference was amazing and they covered up my eyes pretty well. The effect is realy anime-like and beautiful. I am speechless! I think they're perfect for any yellow-eyed character you would like to cosplay. These lenses are super intense, eyecatching and vibrant. I really recommend these lenses, they will make your eyes pop and have the perfect size for cosplay too! I'd love to try out other colors of the I.Fairy Moonlite series as well!